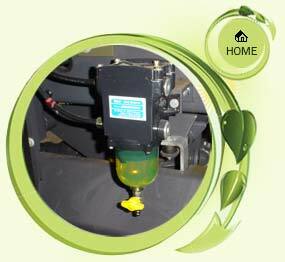 Air Precleaners | Ecotech Environmental & Petromarine Engineering Pvt. Ltd.
Enginaire Inc. is a US company involved in Air filtration systems for over 30 years and have several patents to their inventions. Even a small amount of dust can harm the engine and increase the operating cost. Contaminated air will reduce combustion efficiency and, in turn, increase lube oil contamination resulting in increased wear to the valves, rings, pistons, cylinders, cylinder walls and crankshaft bearings. Inefficient combustion of the fuel will also increase the level of emissions released and increase the fuel consumed. An efficient Air filtration system should therefore be capable of filtering inlet air to a greater degree to ensure longer engine life. However standard air cleaners often render ineffective or inadequate in extreme environments. Hence the need for a reliable and cost effective Air pre-cleaning system.